Just a few weeks ago Canada's Foreign Affairs Minister Chrystia Freeland was in Hamilton announcing a plan to help out Canadian industries hurt by new trade tariffs imposed by U.S. president Donald Trump. But that may mean a lot less to Canadians than the list being put together by an Ontario teen. Just a few weeks ago Canada's Foreign Affairs Minister Chrystia Freeland was in Hamilton announcing a $2 billion plan to help out Canadian industries hurt by new trade tariffs imposed by U.S. president Donald Trump. But that may mean a lot less to Canadians than the list being put together by an Ontario teen. 17-year-old Tyler Campbell from Uxbridge, Ont. 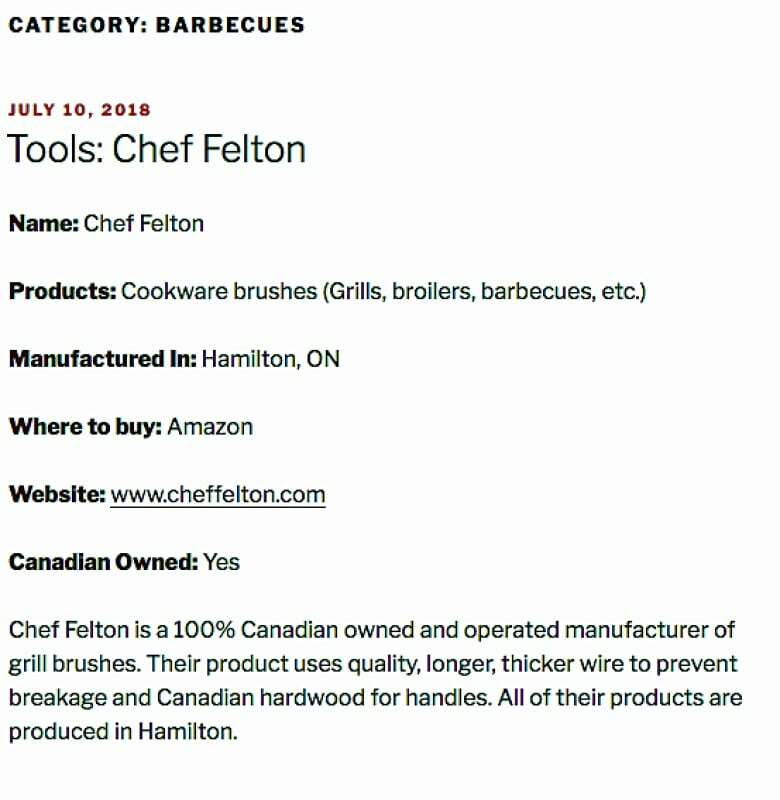 wants us all to buy Canadian and he's putting together a database to make it easier to know which products are Canadian made. It's part of a summer project with his dad and his uncle before he makes his way, this fall, to his first year at the University of Ottawa as a student of computer science. Campbell spoke with the CBC's Conrad Collaco about his all-Canadian list and why he's making it. You can read an abridged and edited version of the interview below or listen to the full audio interview. It started at my uncle's birthday party after July 1st when a lot of the tariffs went into place. We started talking about the politics down south. There's not a way for us to easily find Canadian products so why not make a way to find Canadian products. What bothers you about the Trump trade tariffs? It's not a wise decision for the most powerful man in the world to make decisions that cause businesses in America and all over the world suffer. It's upsetting to say the least. It started by browsing the web to find things. It quickly grew when we added a submissions form. People have been sending us different companies and different products that are produced in Canada. We've got everything from chocolates to grill brushes. Let's say you go into a store to buy something. How do you know whether a product is made in Canada or not? Sometimes it can be pretty difficult. Our site can be helpful but if you look closely at the packaging you'll see made in Canada or product of Canada, two different specifications for products from Canada. Product of Canada means that all or most of the product was produced in Canada. Made in Canada just means that the last major transformative step was in Canada. That can be sketchy because something like Chapman's which is super-Canadian ice cream — they can't grow vanilla beans here so all or most of their products are not completely made in Canada. Were there other products or brands that surprised you that either made the list or didn't make the list? I was surprised that A&W Canada was completely Canadian owned and I was surprised that the Jos. Louis was owned by a Mexican holding company. Jos. Louis made the list because they are made in Canada and support Canadian jobs. We make it clear on the website it's not 100% Canadian owned but we do share products that support Canadian employment. Which provinces have been the most enthusiastic about sending in details of Canadian made products? Quebec and Ontario have led the way. It's been all over the place. It's been pretty popular in B.C. and Newfoundland as well. A lot of people are excited about learning what products, restaurants and chains are from Canada. What should I look for in the grocery store? It's very important to look for locally grown foods if you are going for vegetables or meat. A lot of those will be grown in the area around where you live. For pre-packed products read the label. Most Canadian products make it very clear they are Canadian. If you know the brands you'll know it's Canadian or, for example, if you know it's owned by the Westons. We're spending all our time catching up with submissions, putting in as many products as we can.